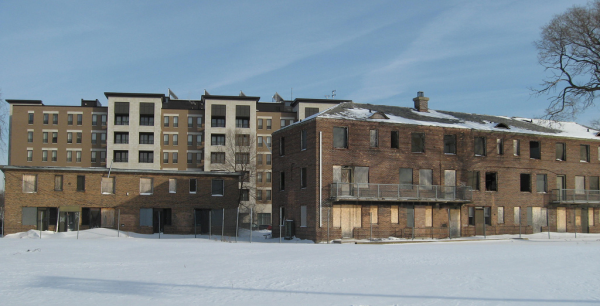 A recent American Prospect article, “The Making of the Other Chicago” seriously mischaracterized the outcomes of my extensive research on Chicago public housing and has numerous serious factual errors, leading to a conclusion that bears little resemblance to my findings. Most residents now live in decent housing in neighborhoods where they feel substantially safer. Those living in the CHA’s rehabilitated developments report better conditions than those who are renting private-market units with vouchers—a finding that speaks to the CHA’s investment and to the variability of its very large voucher program (which now serves 36,900 households). Residents who received intensive counseling services as well as new housing have significantly improved their mental and physical health and their employment status. Although their parents are doing better, CHA children and youth continue to struggle. Voucher holders report trouble managing utility costs, which they didn’t have to budget for when they lived in public housing. While residents’ new neighborhoods are better than the old CHA developments, most are still racially segregated and poor. The article states that, “when public housing projects started coming down in 2000, more than 25,000 families were given vouchers to find housing in the private market.” In reality, just over 4,100 households have moved with vouchers since 1999. The full breakdown of where the residents have gone is in the CHA’s April 2011 “Update on the Plan for Transformation Relocation”. The article claims that, “Rather than reduce the violence, the tear-down of public housing redistributed it.” Our report on the impact of resident relocation on crime in Chicago and Atlanta reaches a very different conclusion. Chicago’s transformation efforts led to substantial decreases in crime in neighborhoodswhere public housing was demolished and to a small but significant citywide decrease in violent crime. The transformation did contribute, however, to slightly higher property crime overall in Chicago, and some neighborhoods in both cities have experienced problems with violent crime associated with concentrations of relocated households. It is true, as the article states, that voucher holders renting private-market units “live in communities where about 41 percent of the residents have incomes below the poverty level and 87 percent are African American.” As noted earlier, this issue one reason that, despite the generally positive results, my colleagues and I remain concerned about the long-term success of the Plan for Transformation in improving residents’ lives. Nevertheless, most former CHA residents are better off, and using our research to conclude otherwise is misleading.